If the word “westerns” still makes you think of Louis L’Amour and Zane Grey, you need to know that there’s a new breed of western in town. These fresh perspectives on the wild west are often gritty and always engaging. 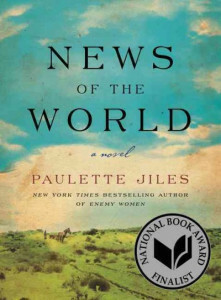 One of my recent favorites is News of the World by Paulette Giles. During the late 1800’s, the elderly Captain Jefferson Kyle Kidd makes his living traveling around Texas reading newspaper articles from far away to large groups. He agrees to transport a young white girl who has been living among the Kiowa (and speaks almost no English) to her distant relatives in the southern part of the state. Adventures ensue. This novel is beautifully written, heartwarming, short, and was a National Book Award fiction finalist in 2016. It has wide general appeal. 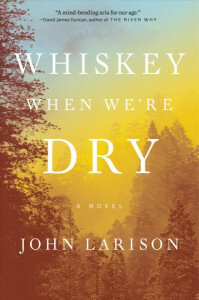 Another book I recently loved is Whiskey When We’re Dry by John Larison. I was especially charmed by the young protagonist who, after being orphaned on her family’s homestead in the late 1800s, disguises herself as a boy and sets out to find her outlaw brother. Once again, adventures ensue. This one is a little more gritty and bloody than News of the World, but the author does a fantastic job of evoking the wild, rugged setting and the challenges of survival. For more stories set in the historic west, check out this list.